SAN FRANCISCO -- Friends and relatives of a couple whose bodies were found in Joshua Tree National Park say they believe the two got lost while hiking in the sprawling desert park and struggled in the searing heat with little food or water before they died in a "sympathetic murder-suicide." 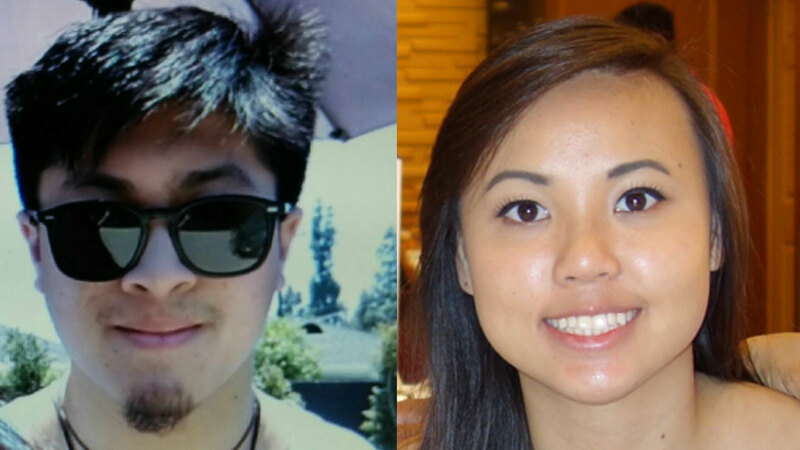 Rachel Nguyen, 20, and Joseph Orbeso, 22, had been missing for nearly three months after going for a hike in late July and failing to return to their bed-and-breakfast. Their disappearance launched an exhaustive search. Crews spent more than 2,100 hours scouring the rugged terrain before finding their bodies in a steep canyon on Oct. 15. Autopsies found both had gunshot wounds and evidence at the scene led detectives to believe Orbeso shot Nguyen and then himself, the San Bernardino County Sheriff's Department said in a statement Friday. The stunning announcement came days after Orbeso's father, who was with searchers who made the discovery, said the bodies were locked in an embrace. The Orange County Register reports there was evidence the pair had been battling the elements. The bodies were under a tree, with clothing covering their legs to protect them from the blazing sun. They appeared to have been rationing food and had no water. Nguyen's family said investigators told them that based on the circumstances and positioning of the bodies, they believed the two died in a "sympathetic murder-suicide." "We hold no grudges against Joseph or the Orbeso family," they said in a statement and offered their condolences. "We thank God that we'll be able to give Rachel a proper burial and lay her to rest." As for authorities, Orbeso's actions remained under investigation, though his motive may never be known. "Since we don't have any evidence (note, message) to tell us why the shooting occurred, we are left to speculate," sheriff's spokeswoman Cindy Bachman said. "Knowing that they rationed food, had no water and were seeking shade certainly sheds a different light on the apparent dire circumstances." Orbeso and Nguyen had once dated and he took her to Joshua Tree to celebrate her birthday, his best friend Austin Young told the newspaper. A gun found near the bodies was registered to Orbeso. Young said Orbeso worked as a security guard, and may have carried the gun to protect Nguyen. "I think they got lost and were suffering in 100-degree heat," Young said. "They had a choice of a slow and painful death or a quick death," he said. "And they made the choice of a quick death." The Joshua Tree Search and Rescue team said on its Facebook page that it's easy to get lost in the vast park covering more than 1,200 square miles of the Mojave and Colorado deserts, 130 miles (209 kilometers) east of Los Angeles. "You can take a short hike and lose sight of the road, and, if you didn't pay attention to what the landmarks look like, in the opposite direction, you could start wandering," the team said.